How well do you tell your company’s story? I want to focus on one particular page of your website - the About Us page. I know from looking at the analytics on our customers’ websites that the About Us page is one of the most viewed pages on any website regardless of industry. When a first time visitor comes to your site, they are very likely browsing your About Us page. I can also tell you that how well you tell your company’s story on that page will impact whether or not a visitor to your site will hang around. The second client had just the opposite opinion of his About Us page. He wanted to tell a long story of the founding of their company with an emphasis on the length of time they had been in business. He also wanted to tell about their charitable/philanthropic endeavors, the recent company picnic, list all of their new technology, etc. Which approach is right? The first client had a good point: his customers probably couldn’t care less about the age of his company. It would not impact their buying decisions. But let’s not rule out what the second client was trying to do. He was trying to make a human connection with his audience. He was attempting to say we are more than just a corporation that wants your money. We are a caring company that has been a good employer and a good corporate citizen for a long time. Isn’t that a very strong marketing strategy? The truth is, both of these approaches can be effective if you know your target market well enough to know what they are expecting from you. The keys to an effective About Us page start with good story telling. How did you get to where you are? Most companies have a very humble beginning with a big vision. Get that point across. Don’t write a novel. No one reads long narratives on corporate web sites. In the second statement, you can almost see Bob Smith working late into the night, leaning over his work bench, keenly crafting spiral widgets. I almost tear up thinking about old Bob! Emotion sells. It should be included in your story. What is your mission? Does it line up with what is most important to your target market? Many About Us pages list a carefully worded mission statement that explains what the corporation is all about at its roots. That is all good and fine if it aligns with the wants of your target audience, but a total turnoff if it is out of sync with them – or is downright boring! Many mission statements try to make the company sound smart. Stay away from smart-sounding corporate babble. Do you know what Walmart’s mission statement says? "Walmart Inc.'s corporate mission is to save people money so they can live better.” From that mission statement is driven their corporate tagline, "Save money. Live better.” Isn’t that synonymous with what the Walmart customer is looking for? Your About Us page should give some sense of what you value. Show your heart. Here is where client number two had a great idea. The mindset of consumers has changed. They expect corporations to be good to their employees and giving back to the communities in which they operate. Some of the largest corporations in the world have gotten themselves in hot water with customers over poor working conditions, child labor, corporate greed, etc. Make sure you are expressing your values past just making a buck. Show your heart. Here is a list of other items you many want to list on your About Us page. Photos and biographical information on your leadership, but don’t get too corporate and stuffy with it! 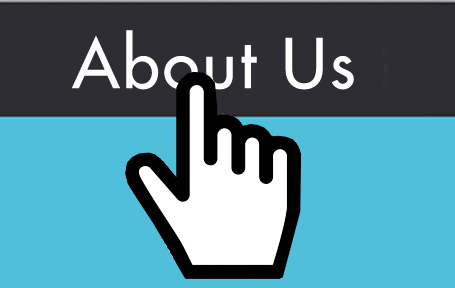 Your About Us page is a very important part of your overall corporate image. It is the job of marketing to guard the reputation of your brand. Don’t neglect this page of your web site. What is says is being looked at often. Make sure it is painting you in a positive light that engages your audience and does not bore them or turn them away. It is crucial to good marketing.